A modern and practical outdoor bench set made of premium solid teak and grade 304 stainless steel. 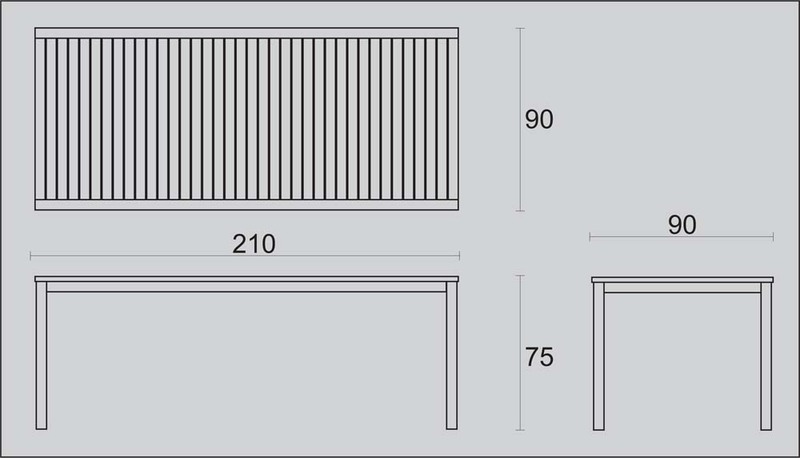 The large garden table is a large 210cm long 8 seater size with teak slatted top and chunky stainless steel legs and frame. With 2 matching garden benches which tuck neatly under the table. This garden set allows flexible seating with a minimalist design. This garden set is made of solid premium teak which has been sustainably sourced from legal plantations and grade 304 stainless steel. The Lombok set is fully machine made to ensure a long life span and durability.